Although most traumatic dental injuries happen to children and teenagers, people of all ages can be affected, usually as a result of sports mishaps, automobile accidents, or bad falls. If you’ve experienced a traumatic dental injury, it is vital to see your dentist or endodontist to determine any necessary treatment. Any dental injury, even if apparently mild, requires immediate examination by a dentist or endodontist. Sometimes, neighboring teeth suffer an additional, unnoticed injury that will only be detected through a thorough dental exam. Chipped teeth account for the majority of dental injuries. Most chipped teeth can be repaired by placing a tooth-colored filling. If a significant portion of the tooth crown is broken off, an artificial crown or “cap” may be needed to restore the tooth. Injuries in the back teeth often include fractured cusps, cracked teeth, or a more serious split tooth. If cracks extend into the root, root canal treatment and a full-coverage crown may be needed to restore function to the tooth. Split teeth may require extraction. During an injury, a tooth may be pushed sideways out of or further into its socket. 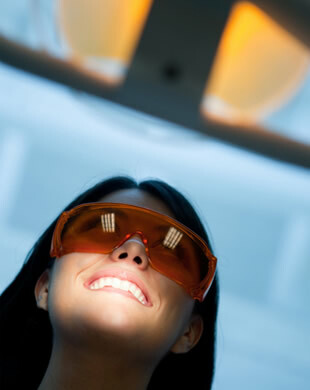 A dentist or endodontist will reposition and stabilize the tooth. Root canal treatment is usually needed for permanent teeth that have been dislodged and should be started a few days after the injury. Children between seven and 12 years old may not need root canal treatment, since teeth are still developing. For those patients, an endodontist will monitor the healing carefully and intervene immediately if any unfavorable changes occur. If a tooth is completely knocked out of your mouth, time is of the essence. The tooth should be handled very gently: you should avoid touching the root surface itself. If it is dirty, quickly and gently rinse it in water. Do not use soap or any other cleaning agent, and never scrape or brush the tooth. Once the tooth has been put back in its socket, an endodontist will evaluate it and check for any other dental or facial injuries. If the tooth has not been placed back into its socket, the endodontist will clean it carefully and attempt to replace it. A stabilizing splint will be placed for a few weeks. Depending on the stage of root development, the endodontist may start root canal treatment a week or two later. A traumatic injury to the tooth may also result in a horizontal root fracture. The location of the fracture determines the long-term health of the tooth. If the fracture is close to the root tip, the chances for success are much better. The closer the fracture is to the gum line, the poorer the long-term success rate. Stabilization with a splint is sometimes required for a period of time.